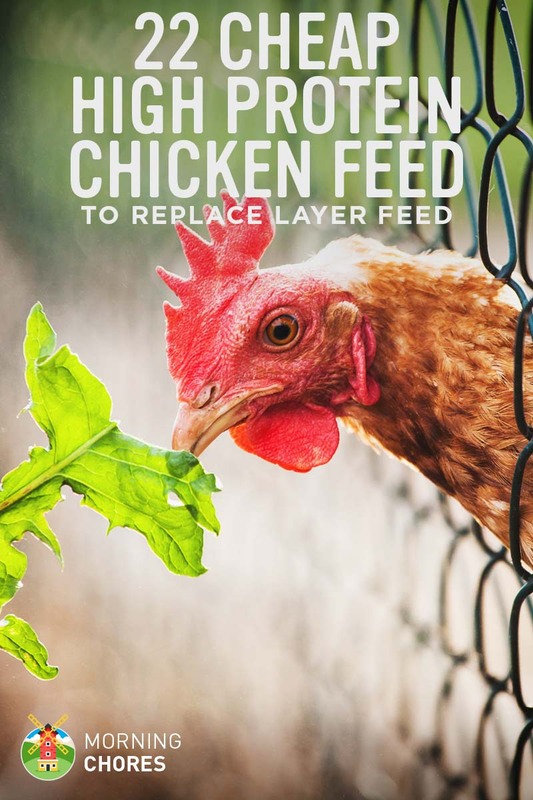 Do you feed your chickens layer feed? Have you ever scoffed at how much money you pay per bag? 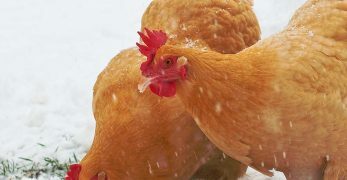 Or do you wish there was a way to keep your chickens’ diet a little more natural without giving up egg production? 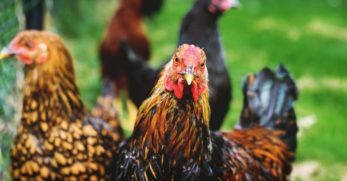 Well, if you are in this category then you are going to love what I have for you because I’m bringing you a list of protein and calcium substitutes that you can use in the place of layer feed. 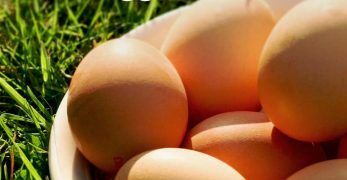 Just so we are on the same page, layer feed is usually around 16% protein and has an added boost of calcium to help with proper formation of egg shells. 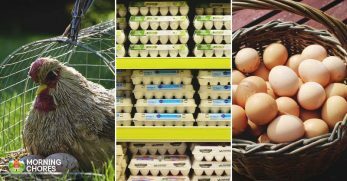 The items on my list are made from natural ingredients but some of them might require a little DIY work if you’d like to save money, but if not, you can purchase them already ground and ready to be fed to your chickens. Camelina Meal is an old, old crop that was used for many years. It is super high in Omega-3s and is included in many livestock feeds because of how it provides such a protein boost to livestock. This is a rather high commodity item so it costs over one dollar per pound. 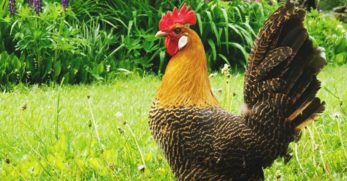 But if you are after high nutrition for your birds and price doesn’t play a factor, then this could be a great protein substitute for you. Cottonseed meal is what is left after the cotton has been ginned and the seeds have had all of the oil extracted out of them. The remains get fed to livestock as a protein boost. So if you happen to live where there is a cotton farm nearby (I grew up near one. They are gorgeous!) you could potentially strike up a deal there and get your own cotton meal for less money. You can also buy cottonseed and make your own cotton seed meal. 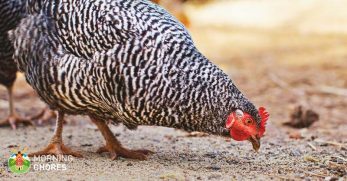 Remember, cottonseed meal is also used as a fertilizer so this is one you’ll want to use caution when feeding to your chickens due to toxicity. 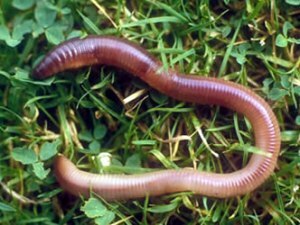 Earthworms are wonderful little creatures. 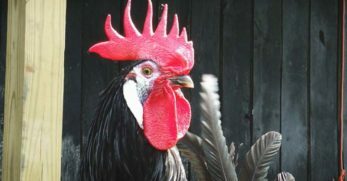 If your birds free range then they probably eat their fair share of these. 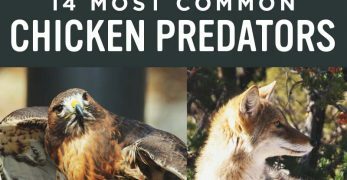 This is a good thing as they pack a ton of protein. 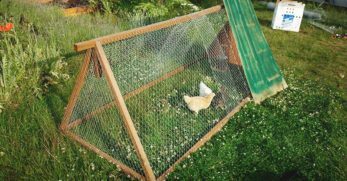 However, keep in mind, even if they don’t free range you can raise your own to feed your birds plus a little extra to make some income. Here is how to build a worm farm. Flaxseed is a good ingredient to add to your own meals because of the added fiber and healthy fats. 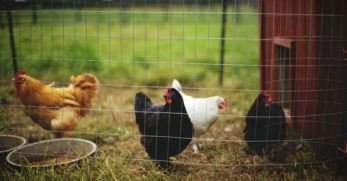 So it shouldn’t surprise you that flaxseed meal is also a good protein boost for your chickens. 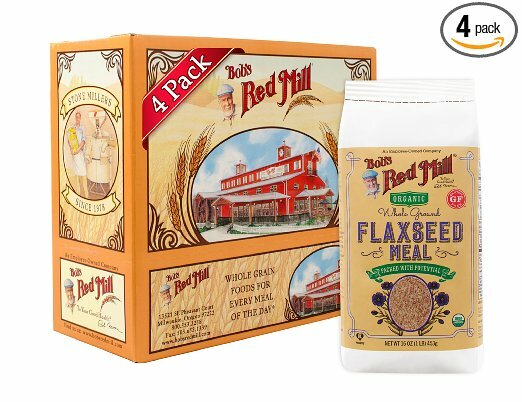 You can purchase flaxseeds and grind them up with a spice grinder, or you can purchase actual flaxseed meal. 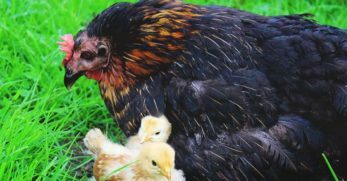 Either way, adding a little to your chickens’ feed will hopefully give them that added protein boost that layer feed does. 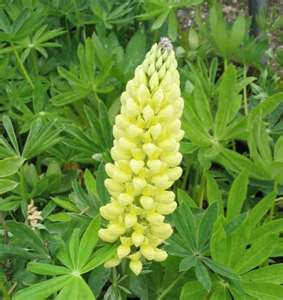 Lupin is a flowering plant that grows in poor soil that has too much acid. They are actually quite common in Australia, and they belong to the legume family. But why people love them so much is that they can be fed straight to chickens without having to be ground. So if you have an area of your land that won’t grow much, you could potentially plant these flowers and then use them as chicken feed. They are pretty too. Peanut meal is another feed that you need to use caution with. 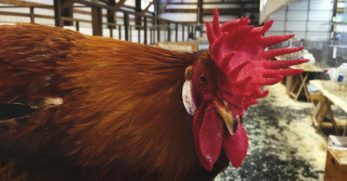 Scientists still aren’t sure if the feed passes through to the egg. This would only be an issue if you or someone you cook for are allergic to peanuts or if you sell your eggs which could potentially open them up to someone with an allergy. So again, I offer caution in using this as a protein supplement. 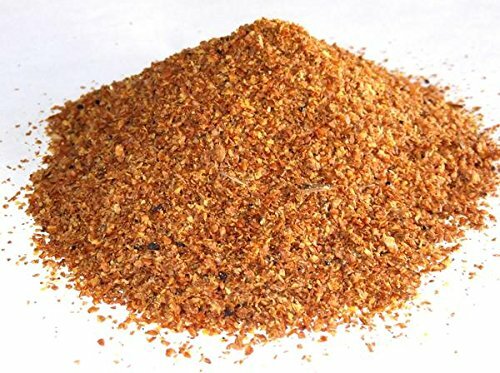 Peanut meal is actually a hard thing to get your hands on, but if you are lucky enough to then you might want to consider using it for your birds. When you make potato starch, the potato protein is what is left over after the starch is made. Potato starch is used a lot in Europe in the place of where others might use corn starch. 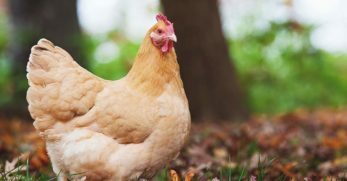 So if you use potato starch or know someone that does, you could potentially have a great protein source for your flock. 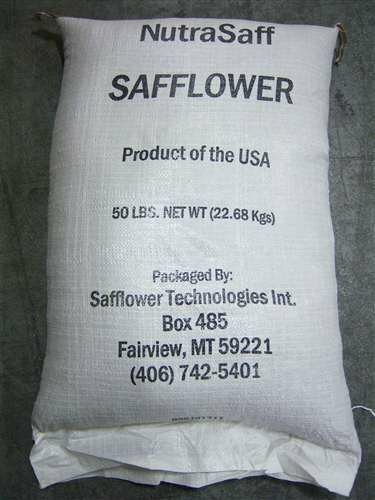 Safflower is what is used to make vegetable oil. The meal for this is very similar to cottonseed meal. Basically when they’ve gotten everything out of the plant, they take what is left and grind it into a fine powder or meal. Also, this is an annual plant. However, is contains a lot of thistles so you might not want to have it growing around your property. If not, you can always purchase it. Do you ever cook with sesame seed oil? Well, then you’ve been involved in the process of making sesame seed meal. Basically, after they get all that they can out of this plant by extracting oil from it, then they grind what is left into a powder. 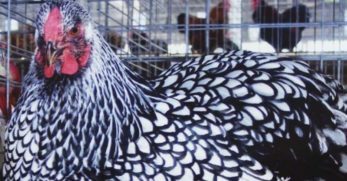 This powder could potentially be a good protein source for your flock. 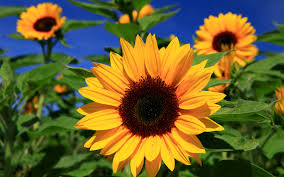 You can purchase sunflower seed meal or even make it by grinding the seeds after you’ve extracted sunflower seed oil from it. However, in this instance I would save myself the work and just feed your chickens the sunflower seeds. We feed them to our flock from time to time, and they peck and get what they need from the seeds without the extra work on my part. Legumes have a lot of protein. We know this because we are told to eat them for the exact same reason. So if you have any seeds left over after planting your legumes then feed them to your flock. They’ll love the treat and the protein. We feed all of our animals fodder. We do this because it helps take 50 pounds of food and turn it into 400 pounds of food. It is pretty crazy, and our animals love it. However, I will say this, if you are going to use this as a laying feed supplement your flock will probably need something else in addition to it because my birds laying production dwindled when I gave them only fodder. It is a good source of protein but it wasn’t enough by itself. Most sweet feed is kind of like junk food for livestock. But if you check the package and find one that has 16% protein then you can try feeding this to your chickens. Now, this isn’t an all-natural choice but it is a way to save yourself some money because usually livestock feed is about half the price of layer feed. We have a local mill that sells a great quality sweet feed and all of our animals love it. 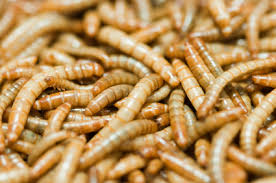 Meal worms go along with earth worms. Your birds love them! They are a great source of protein and can be raised or bought prepackaged. 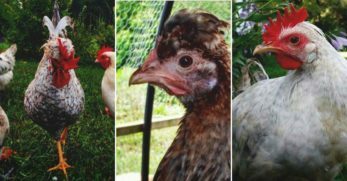 So if you like the idea of being able to raise your chickens’ food on your property (no matter what size of property you have) then you might want to really consider raising meal worms. Again, you might have to combine this suggestion with another to give them that huge protein boost. This may sound disgusting but if you have maggots around, don’t toss them out. Instead, feed them to your chickens. I say this because they are packed full of protein. 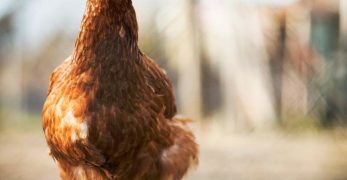 So go ahead and scrape up those maggots and give your chickens what their bodies need. Do you raise fish? Do you go fishing? If you answered yes to either of these then you have a great source of protein on your hands. 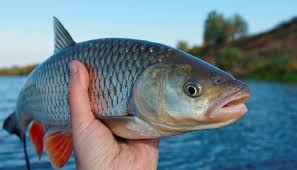 See, you can not only feed them the fish (even the bottom feeders that you usually throw back), but you can also feed them the guts of the fish that you keep for yourself. 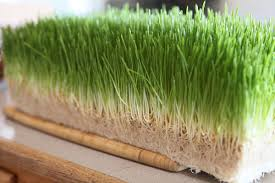 This is a good source of protein and a potentially inexpensive option as well. 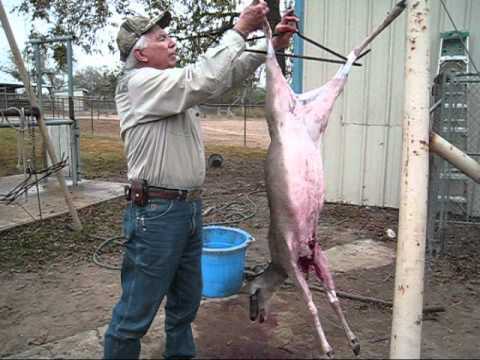 It is deer hunting season in our area. Thankfully, we’ve been putting deer away already this year. My chickens are happy too. But probably not as much as I am. The reason is because I can feed them the scraps of the deer that I don’t use. Plus, I can give them the guts and organs for a great source of protein. This is a cheap protein option and one that also fulfills their nutritional needs. Well, because it is free chicken food and a lot of it. So the next time you see road kill, don’t pass it up. Instead, take it home and freeze it for your birds. When you have chickens there are certain times of the year that you are absolutely run over in eggs. If not, give them a little extra protein and see if that improves things. 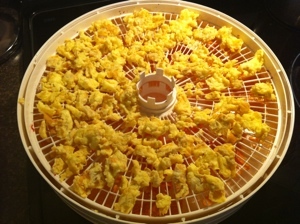 However, you can dehydrate these eggs and then feed them sporadically to your chickens for a great source of protein throughout the year. Do you ever cut up fruits and vegetables and have a mess of pulp and seeds on your counter? I know I do every time I cut a cantaloupe or pepper. Well, don’t toss the mess. Instead, gather it up and feed it to your chickens. Those seeds are actually great for them! Who knew, right? Oyster shell is a common calcium supplement that most have heard of. You can buy it rather inexpensively. You’ll just need to toss some out in the coop every now and then. 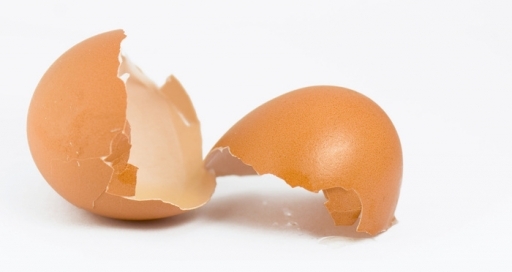 But make sure if you start seeing weak shelled eggs to up their calcium immediately. That way you won’t lose any eggs. I buy oyster shell, but to help it stretch a little further, every time we eat an egg the shell goes right back to the chickens. They are able to get the calcium out of the shell and it goes back into the cycle. You can’t beat practically free calcium. I hope that you found this list of items helpful. 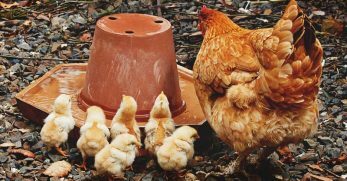 Hopefully, you can boost your chickens’ protein and calcium naturally and keep their egg production up without having to depend upon layer feed. Or maybe you could use some of these items as a substitute so they don’t go through layer feed quite so quickly. Every substitution helps. However, I’d like to remind you to do thorough research before feeding any new feed (natural or otherwise) to your flock. 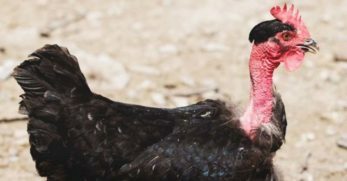 Different breeds of birds have different nutritional needs based upon their purpose which can also cause different effects. But I’d love to hear your thoughts. Do you use layer feed? If not, what do you use in the place of it? 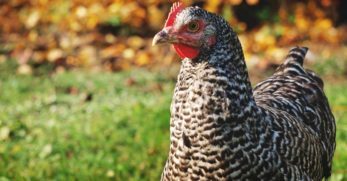 Is your chickens’ egg production still up? Have you found any adverse effects to going all natural? 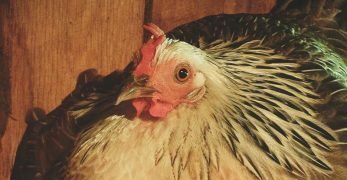 Do you have any pointers for our community here at Morning Chores that would like to feed their chickens a completely natural diet? 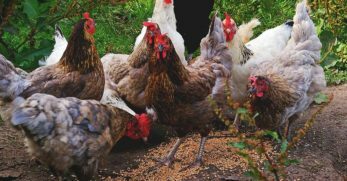 If you would still like to purchase feed for your chickens, check out our list of the top 7 store bought feeds for your birds. We love hearing from you guys so please leave your comments in the space provided below.